I had rhinoplasty 1 year ago to straighten my broken nose and collapsed left tip/nostril I was only made aware after surgery that my surgeon did not use anything other than my own cartlidge ect I made it clear I wanted my nose straightened and tip reduced so after surgery and a year later my nose is straight but the tip is still the same it wasn't reduced and there was no supports put anywhere I'm afraid my nose is fragile I may be wrong so my question is as my nose is straightend can I just have my tip and nostrils fixed with a nice shape as it's still droopy on some angles and hasn't been reduced I'm not looking for anything unreasonable and unrealistic I just want a nice shape that is strong please any advice would be awesome! The first pic was after and second pic was before my nose actually looked better before it was just bent but now my tip is very bad and enormous. Sorry to hear that you have not been entirely satisfied after your rhinoplasty. Have you had a chance to discuss your concerns with your surgeon? 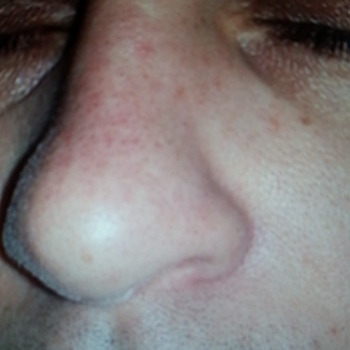 This is usually the best first point of call, as the original surgeon would have the best knowledge of what has been done, and what can be done to further refine the nose. There are many reasons why a tip is still bulky, including excess scar tissue and insufficient reduction. When it comes to revision rhinoplasty, it's difficult to know what can be done without prior surgery information and a clinical assessment.